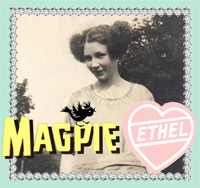 More love today -- I found this in the Craftin' archives. Sometimes, all you need is a great quote to inspire you. Oh, and love. 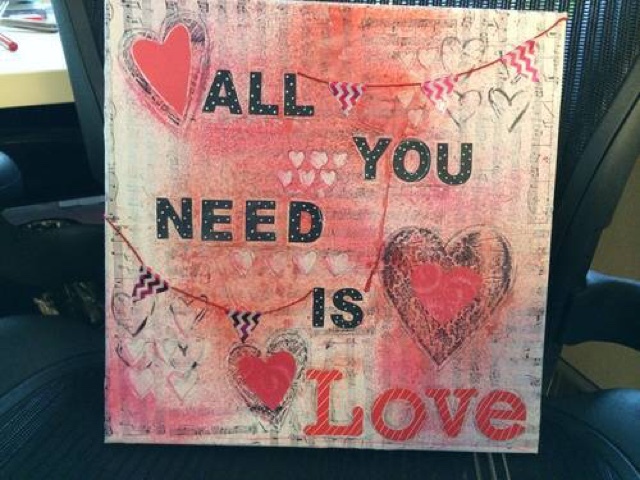 This 12x12 canvas was created for a Craftster swap. I covered the canvas with an adorable tissue paper that has music notes all over it, and got out my ink sprays for the background. 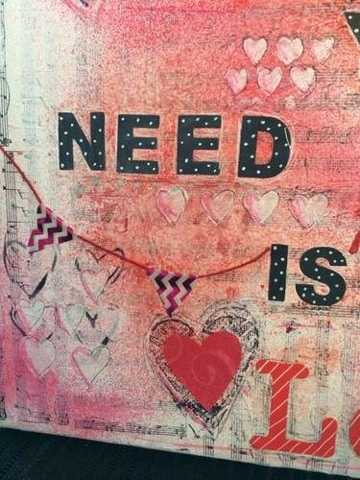 I added paper hearts and a little washi tape banner that I made from baker's twine. The letters were from a pack of die cut alphabets that I had, then jazzed up a bit with a white gel pen. 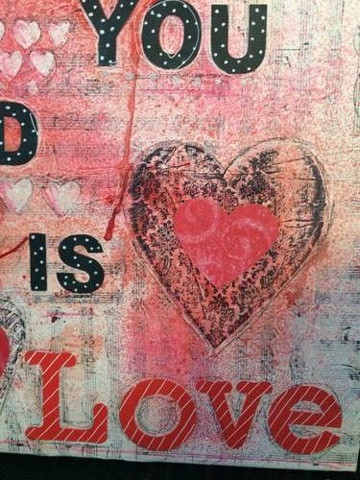 There are some stenciled hearts in here too -- the white gesso picked up some of the spray inks, which I love. LOVE.